From hashtags to high-level resignations, the American landscape has been rocked by allegations of sexual abuse at all aspects of high society. Most prominently, however, congressional leaders on both sides of the political aisle have resigned in shame over credible allegations of sexual abuse, past and present. Due to the pervasive level of accusations, Congress decided enough was enough. While a similar bill was passed and signed into law in 1995, the new bill which has passed both the House and Senate, will update existing policies on holding congressional members accountable for sexual harassment and investigations into misconduct. Prior to 1995, existing legislation regulating investigations of sexual misconduct and consequences for members of Congress was limited. Thanks to bipartisan efforts to address rampant accusations, lawmakers came up with the Congressional Accountability Act of 1995, otherwise known as the CAA. Rather than inventing new legislation from the ground up, the CAA merely bridged and adapted existing pieces of legislation so it would seamlessly integrate and apply to members of Congress, as well as their aides and staffers. ADA Integration- the CAA used elements of the Americans with Disabilities Act to offer the same levels of protections, such as those with substantial limitations or disabilities, in the realm of Congress. Fair Labor Standards Act of 1938- Aides, staffers, and Congress persons would enjoy the same minimum wage and hourly wage standards as any other employee in the country. Employee Polygraph Protection Act of 1988- Prevents employees in the Legislative Branch from ever having to take a polygraph under any and all circumstances. Aside from the three aforementioned amendments, the CAA helped establish one of the landmark pieces of legislation for Congressional reform, but the more recent legislation merely adds on as it pertains to internal investigations and sexual harassment. Building off of the achievements from 1995, the 2018 bill added several additions to the existing legislation, particularly in response to revelations that countless Congress persons were credibly accused of sexual harassment. Personal Accountability- The new legislation will hold any and all persons in the Legislative Branch accused of sexual harassment to be personally accountable for their actions. Public Reporting of Settlements- While some notable sexual harassment cases against legislative officials were settled privately, new measures would make all settlements public record. The new amendment to the legislation would promote greater levels of public transparency. Victim Advocates- The new legislation would provide victims in the Legislative branch with specialized victim advocates. These advocates would provide options for getting representation as well as getting resources for proceeding with claims against their accused violators. Sexual harassment in the workplace happens everywhere, even in Congress. If you’ve suffered sexual discrimination or harassment in the workplace, the Michigan Legal Center can help. 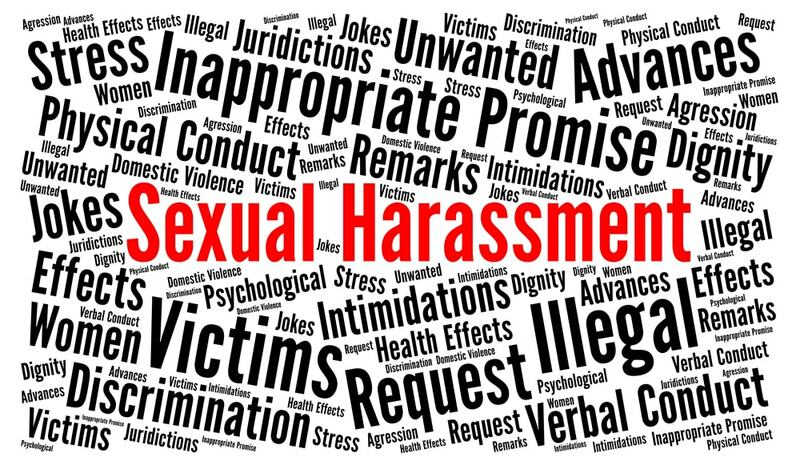 Our experienced team of sexual harassment lawyers in Michigan can represent your case. To schedule a consultation, call 1-800-961-8477 or book an appointment online.